The historic Steinway Hall has been given new life by SHop Architects who have combined this landmark building with the iconic 111 West 57th Street sky-rise, towering high above the New York Skyline. The gracefully designed building will be home to just 60 luxury residences, with just one tower residence on each floor. 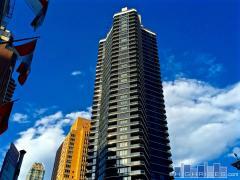 Have any comments or questions about 111 West 57th Street? Ask your question and/or share your thoughts about this Building.